Annexure-I : For establishment of Institution of higher learning. Arunachal Pradesh State Council for Technical Education Act 2010. Arunachal Pradesh Colleges and Other Institutions of Higher Education (Establishment & Regulation) Act 2010. Notice - Regarding approval of Book grant to APST students. 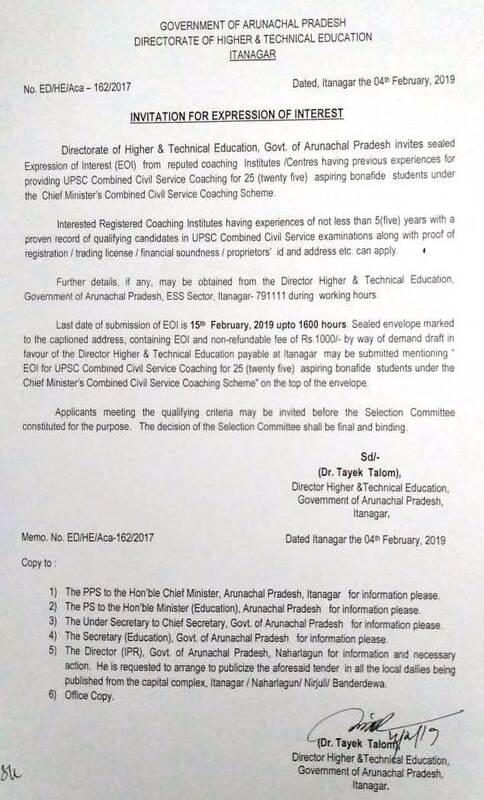 Format for Submission of details of Teacher / student enrolment / pass percentage etc. 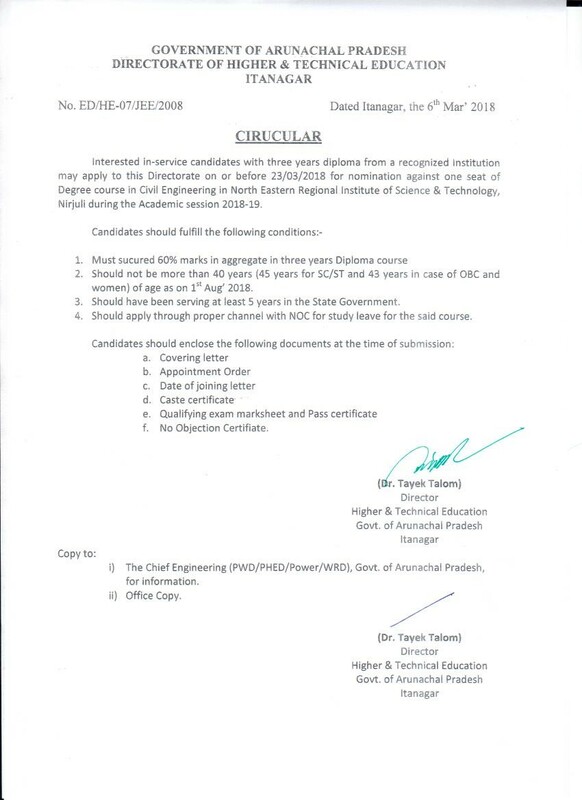 Circular-Admission to Degree Civil Engg course at NERIST for In-service candidates. 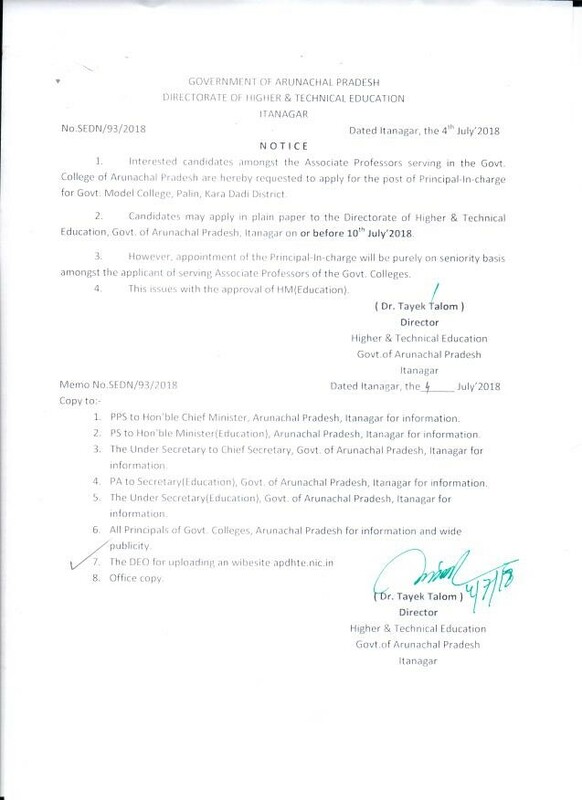 Advertisement for the post of Private Educational Institutions Regulatory Commission.